As the voice of international business interests, throughout Australia and the US in particular, AmCham’s story has always revolved around its members, and our ability to provide them with invaluable access to opportunity. It’s a story of connectivity. Our members include CEOs, executives and professionals of all ages, and from all walks of business. Our strong and supportive network provides them with up-to-date information, unparalleled access to opportunities, a robust business events program, a diverse membership database, and a voice to potentially shape Government policy. It’s also a story based around quality global participation: we actively promote international business with trade missions, including the highly regarded Offshore Technology Conference. And our story is one of generosity: we work with the U.S. Commercial Service and Austrade to welcome and host inbound business missions. 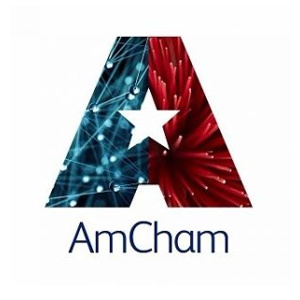 With over 100 AmChams located worldwide – including 21 countries in the Asia-Pacific region alone – AmCham is one of the best B2B networks in Australia and overseas. And it’s our members who make it; we simply provide the networks, the opportunities and the support for you to do what you do best.